I found these's cheap old spider rings in my room the other day that i never wore because i thought they were too plain...so I got bored and made them awesome! I make lots of weird things when i'm bored. lol. This is my first how-to, hope you enjoy! 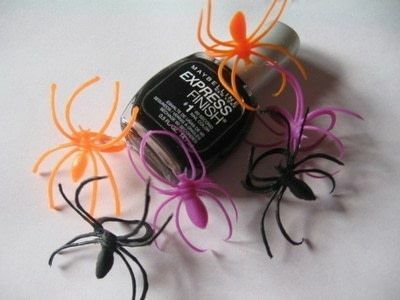 I used Black nail polish, but i'm sure you could use any colors you want; black shows up the best though. 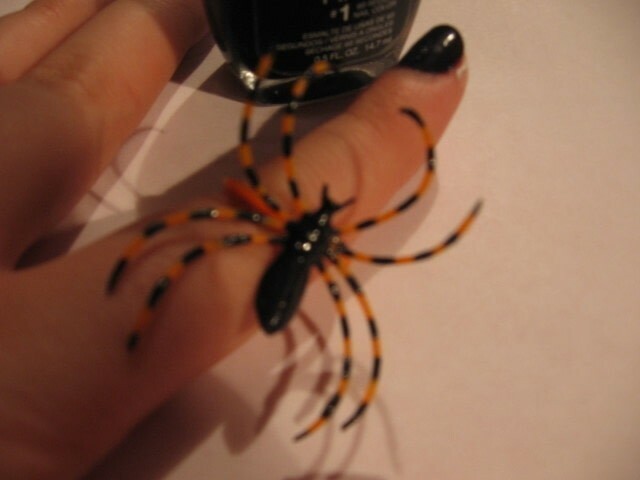 Hold the spider by its ring, and carefully paint the entire middle body black. I had to do 2 coats to make it dark enough. Let dry. 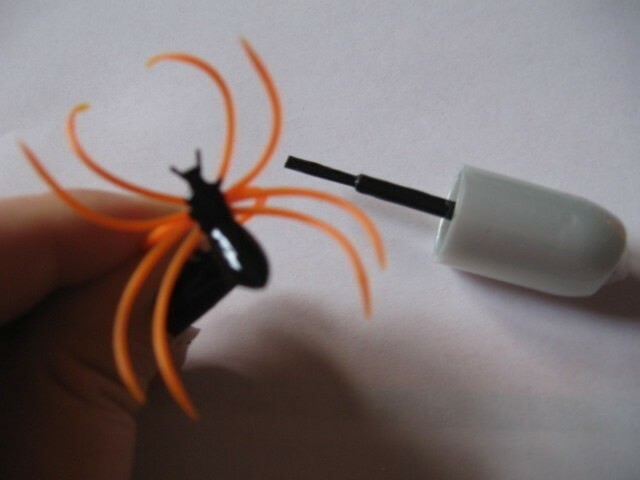 Next, get very little polish & carefully paint small stripes on all the legs with the tip of the brush. Paint on both sides of each leg (all the way around), so you won't have to do 2 coats. And make sure the space inbetween is the same length as the stripes you make...it makes it look more professional. It also helps if you try to bend the legs farther apart before you paint...so they don't touch. And if you screw up you can quickly wipe it off with your fingernail. And once they're dry, your done! Now go make tons and give them away to all your friends! 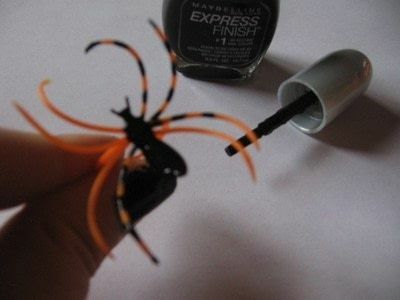 That black & white spider I did with white-out...cuz i didn't have any polish. I don't recommend that, because it was too sloppy, sticky, and not as shiny. Have fun! Ooooh, these are awesome. I've never seen those rings... I'll have to look for them next Halloween. 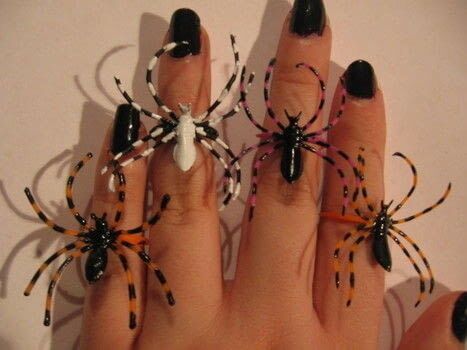 I have a little toy spider I could make into a ring, so I might try the rainbow idea! I'll post it if I do. I love this, great idea. I love spiders. I would love to see ya'lls versions, if you make them different from mine! haha. I think that was the point. They kind of look like poisonous spiders now. Wow, thanks for all the favorites everybody! I hope you all like them too. This is really cool and would be great to wear on Halloween. With how you have painted them they look intimidating.